Discover new possibilities in Northeast Indiana and Fort Wayne. Search by industry or pick your county of choice to see what’s available. Your next adventure starts right here. Need a little more information on what Northeast Indiana and Fort Wayne have to offer, but don’t know where to start? We can help you get to know our region better, from learning more about the area to searching for your next job or internship. Just click on one of the options below to get started! Are you seeking a job or internship in Northeast Indiana or Fort Wayne? You can use our Job and Internship search to see offerings in our region, and learn more about the companies and industries that are seeking talent like yours! Speech Bubble Created with Sketch. Put yourself front and center to job seekers locally and nationally. With a mission to attract and retain talent in our region, this is the perfect place to get noticed and grow your business. Partner in fostering great talent and post your position with us today. In Northeast Indiana, we are a place for big ideas and bold intentions. 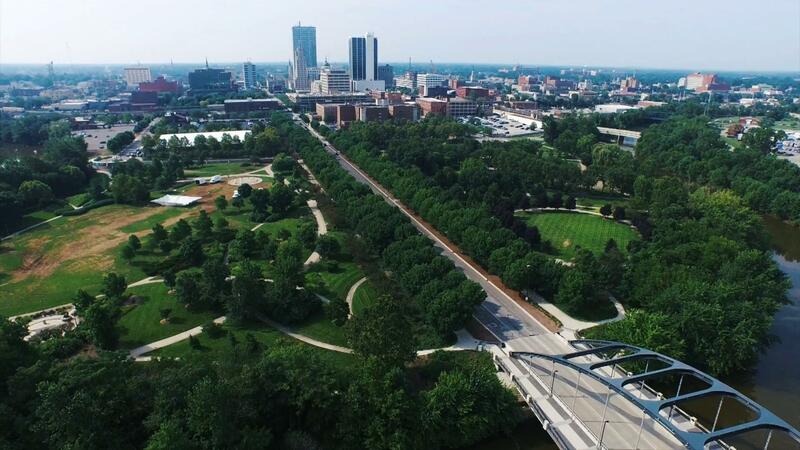 Living in Fort Wayne and Northeast Indiana is more than just finding a job, it’s a place you can call home. Find out how living here can benefit you now and into the future. We're not just here to promote our region—we're here to help you achieve your goals. If you have questions about jobs in our region and aren’t sure what’s next, we can help you in getting to the right place. Northeast Indiana and Fort Wayne are thriving with specialized industries that are waiting for talent like yours. With all the momentum we have going, these industries have great potential for job growth in our region. Let us help you find your next job. There is an overwhelming sense of pride, momentum and hospitality in Northeast Indiana, and we want to help you discover your next place to call home. Find out what living here is really all about, with resources and stories to help you learn more. Northeast Indiana and Fort Wayne have a knack for taking intelligent risks and coming out on top. We know how to pivot challenges into brilliant opportunities for invention and progress. We’ve proven the grit to overcome, the creativity to adapt and advance, and the fortitude to do it over and over again. Momentum is all around in Northeast Indiana. Are you ready?